Can two people in the autumns of their lives put the past behind them and trust in the hope that comes with each new season? After a devastating year, a spring breeze promises more than new flowers... It promises a new chance at love. An Amish Christmas Love featuring novellas by Beth Wiseman, Amy Clipson, Ruth Reid, and Kelly Irvin. 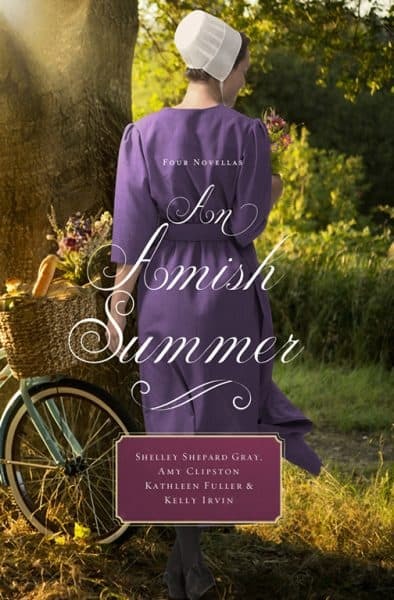 A new novella collection of four sweet, summer romances from some of our favorite Amish authors! Book Release April 8, 2018. Available for pre-order now. Deborah and Phineas each must learn the true meaning of beauty before they can let go of their past sorrows and find the joy that lies just ahead for them both. Leila Lantz is in danger of losing her heart to a Plain man until she discovers he’s not so Plain after all. Rebekah Lantz feels imprisoned by circumstances she didn't create. Tobias Byler is haunted by regret. Can two young runaways from half a world away teach them the healing power of true family? Recently released in June, 2016. The first in a spin-off series from the Bliss Creek Amish, this book will follow a group of families from Bliss Creek, Kansas, to their new home in New Hope, Missouri. Phoebe Christner and Michael Daugherty are just beginning their courtship when they make a mistake with tragic consequences. Love Redeemed is the story of how they find forgiveness for themselves and for each other. Will Adah Knepp choose the man who can show her the way to an undreamed of musical career or will she choose the one who will give her a life of faith and family? An Amish Christmas Gift is sure to appeal to readers who enjoy heartwarming, holiday stories as well as fans of traditional Amish Romance. Frannie Mast returns to Bee County for Christmas, but her heart stays back in Missouri with an Englisch farm boy. Frannie knows her parents have the best of intentions when they send her back to Bee County, Texas, to live with her aunt Abigail and her husband Mordecai.